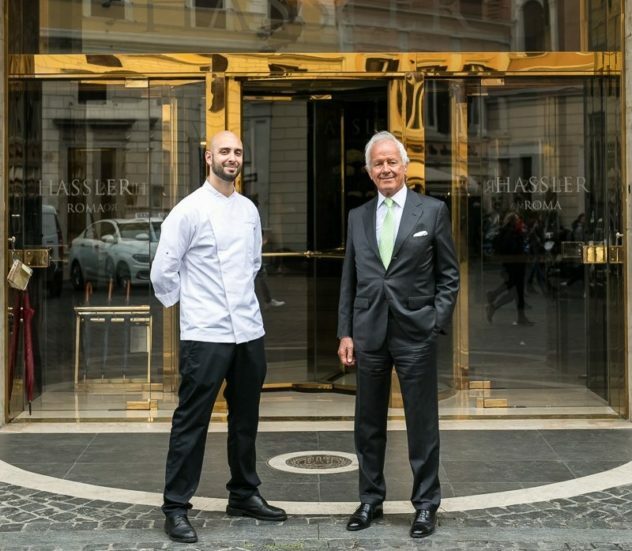 Roberto E. Wirth, owner and general manager of the Hotel Hassler, has chosen a new Chef to guide the gourmet restaurant Imàgo: Andrea Antonini. The young Chef, born in 1991, arrives at Imàgo from a long and happy experience in Spain with the world cuisine champions of El Celler de Can Roca and Quique Dacosta, both 3 Michelin stars and Best Restaurants for the 50Best! “With Roberto Wirth we immediately found the meeting point on the philosophy of cuisine that will be expressed by Imàgo”, Antonini states: “at the center there will be Italianness with tributes to the tradition and seasonality of the products, which will always be proposed with the vision and contemporary taste, like mine “. The Restaurant will open, in soft opening, on April 5th offering a series of exploratory dishes that will be preparatory to the formation of the new menu. The local products that arrive daily will be the basis for creating a surprise tasting menu. The Rome Cavalieri, A Waldorf Astoria Resort will open its own terraces and private park and will kick off the summer season celebrations. 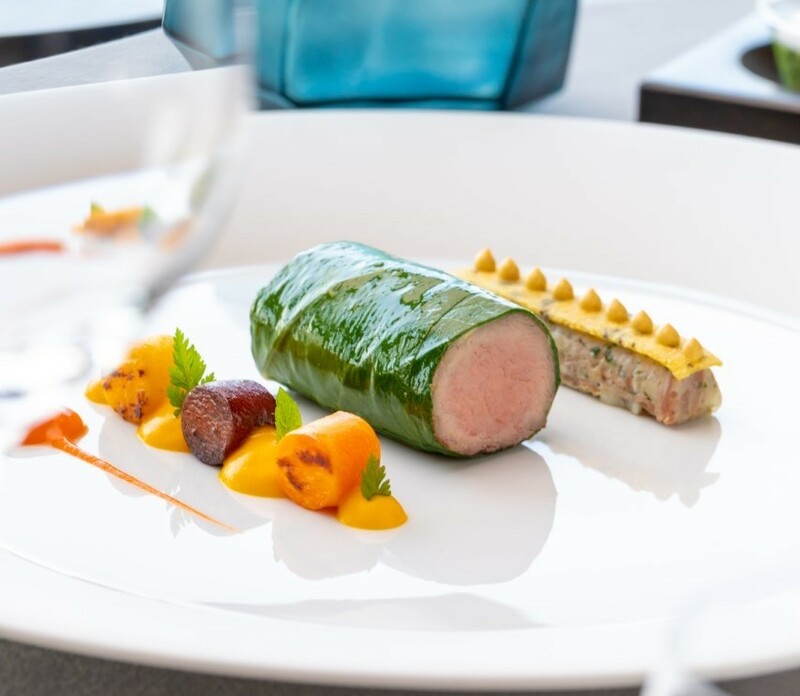 The culinary celebrations will begin on Friday 19 and Saturday 20 April with the tasting menus of the starred Chef Heinz Beck, which has thought a culinary journey in the name of the flavors and products of spring (from 07:30 pm). From Friday 19 April it offers a menu with spring tones and an exotic and citrusy touch (from 07:30 to 11:00 pm). 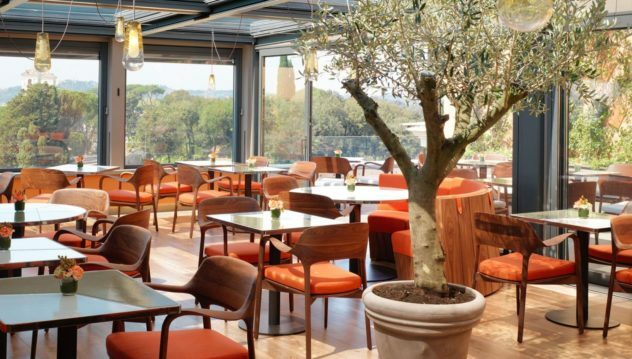 Sunday 21st April the festivities will take place in the splendid setting of the Uliveto terrace, accompanied by the notes of a jazz piano; soundtrack of a Flower Power themed brunch with the creations of Executive Chef Fabio Boschero and the Pastry Chef Dario Nuti. A moment to spend in the open air to free your mind and celebrate in style, immersed in the quiet of the Cavalieri mediterranean park. For the youngest, the watchword will be “fun” thanks to the animators’ creations and entertainment: while mom and dad enjoy brunch, the children will be engaged in an amazing “Egg Hunt” or intent on creating bouquets of flowers and to paint eggs in the exclusive Flower Lab created for the occasion. Recommend the Ultimate Detox Reviver treatment by Aromatherapy Associates, combined with a mini treatment with chocolate scrub, with antioxidant and nourishing powers for the skin. It is a toning treatment to reinvigorate your mind and body. Executive chef Fabio Ciervo sent you to celebrate Easter with a menu full of spring flavors, created using the best seasonal ingredients. To celebrate Easter, the Giardino Ristorante offers a four-course lunch (here the menu) inspired by seasonal ingredients; On Easter Monday, brunch comes back instead, as for spring, for the occasion, as well as salads, pizza, pancakes and brunch classics, you can also find roast lamb, as usual. From February 11th (available Monday through Saturday, 12.30 – 3pm) enjoy the “Salad Bar”, a salad buffet every day for lunch. A selection of executive chef Fabio Ciervo’s healthy and tasty salads filled with seasonal flavours will be complemented by two special hot dishes which change daily. You’ll also be able to indulge in a selection of fresh fruit and assorted pastries. The ideal situation for a light lunch or a business meeting. As background the music of a talented dj. Every Wednesday and Friday, 7 – 11pm. As the sun sets, the whole of Rome sparkles into life. Admire the breathtaking view over an aperitivo at Il Giardino Bar, with cocktails by Barmen of Hotel Eden. Taste cocktails of the Month available at Onyx Bar and Pool terrace for all the month of April. Here the menu. 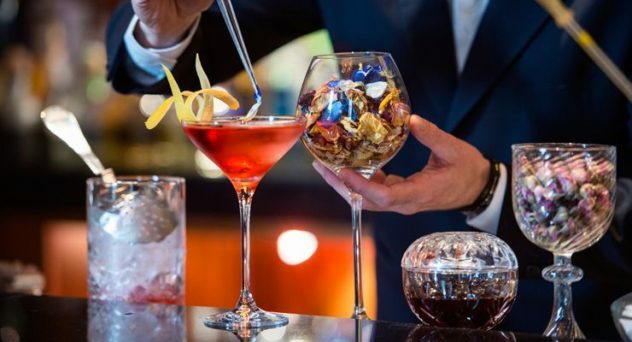 For 5th edition of Westin Got Talent, The Westin Excelsior Rome sets out to discover new talents in the art of mixology. In collaboration with AIBES (Italian Association of Barmen and Supporters), the historic Hotel in Via Veneto, Wednesday 17 April, at 6 pm, hosts 15 young AIBES students from all over Italy, aged 18 to 25, who will compete to win a scholarship of the value of 750 Euro for the advanced course of Barman. The insertion of the winning cocktail in the new drink list of the ORVM Bar and other important prizes will be up for grabs for the second and third classified. The theme will be “Cardinal Twist” where the aspiring young Bartenders are called upon to try their hand at revisiting the “Cardinal”, the cocktail invented at the Excelsior in 1950 during the Dolce Vita, and immediately imposed internationally as a “rival” of the Negroni. 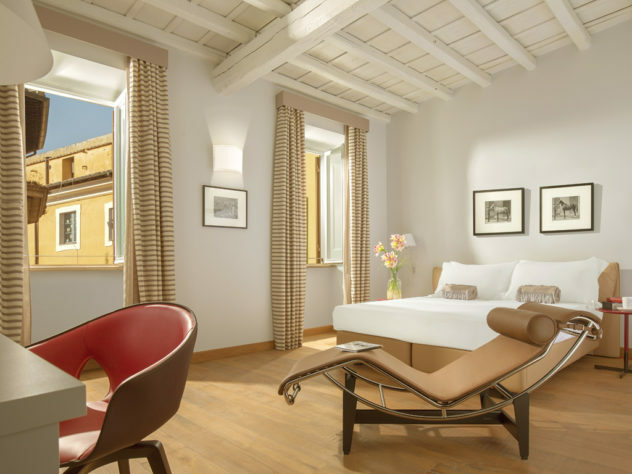 This Small Luxury (only 18 rooms) is the newest in the centre of Rome. It occupies the annex of the mid-16th century Palazzo Borghese that once housed the School for Maidens. Paolo Bonfini, a roman scenographer, and Giampiero Panepinto, a milanese architect, brought eclectic and contemporary design into this centuries-old space. Many rooms overlook the Borghese Gardens, which is dotted with the classical statuary, a little jewel closed to strangers to the palace. 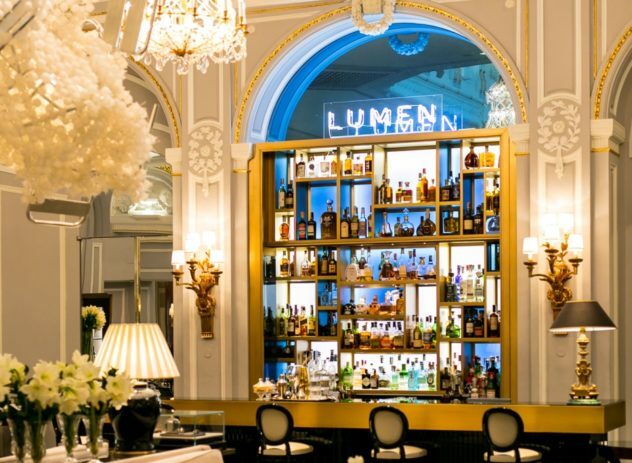 The bar-lounge is colorful and confortable, among pieces of modern art and contemporary works. The adjacent atrium terrace is open for both drinks and meals and a rooftop bar is also planned. This modern hotel prides itself on personalised service, grounded in old-fashioned Italian hospitality. 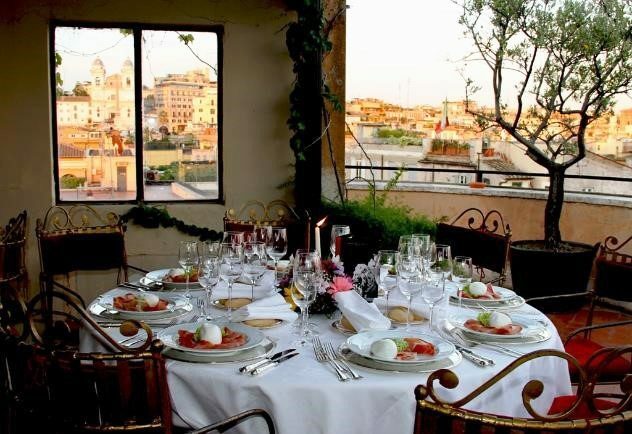 The concierge can even arrange tailor-made sightseeing trips and exclusive transport around Rome. 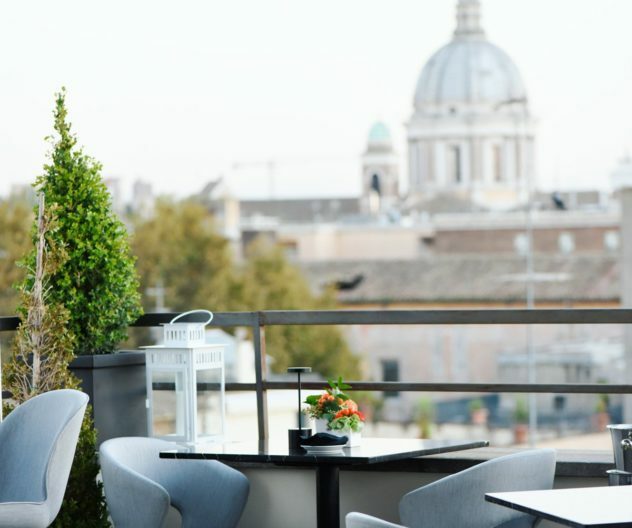 Gabriele Muro, the Executive Chef of Adelaide, Hotel Vilòn’s intimate restaurant, has designed a menu that celebrates some of Rome’s favorite dishes, such as pasta carbonara and amatriciana. You can enjoy also mediterranean seafood-based cuisine. 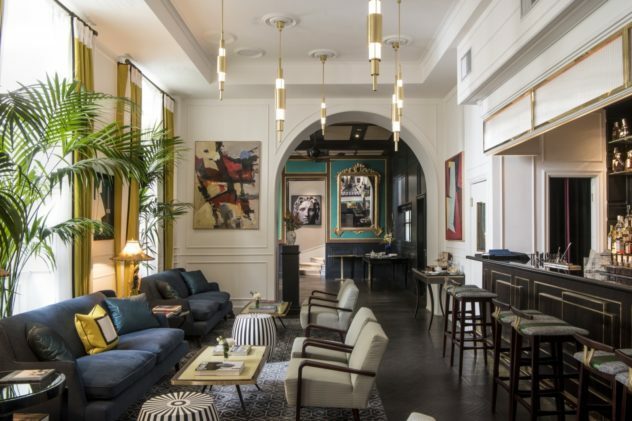 Adelaide is open to both hotel guests and the public. 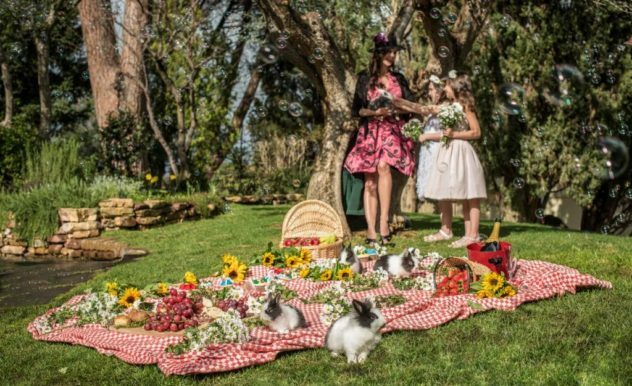 Sunday, April 21st, Palazzo Scanderberg organizes a special experience immersed in the greenery of Villa Borghese, “Easter in the Park”. The proposal includes: car service to the Villa and a basket with tasty gastronomic products. The offer includes: continental breakfast, picnic at Villa Borghese and small room service (starting from € 400).